2015 OLPH Dadtona 500 Recap! Markham McHenry in 2nd and Charles Plumb in 3rd! … And Pierson takes the checkered flag! It was a frightening display of driving as the OLPH Dads took to the track and it was…. and Charles “El Diablo” Plumb. Special acknowledgement goes to Bumpin Bart Ellis for receiving the most verbal warnings to stop “Bumping” people. This must not happen, lest we never hear the end of it! Operation “Pick off Pierson” is now in effect. A $100 chip bounty will be awarded to each person who takes down Pierson in the Texas Hold-Em tournament. Our next outing will be Bowling with the kids on April 16. Click any image for a gallery. 2014 OLPH Dads’ Bags Tourney! 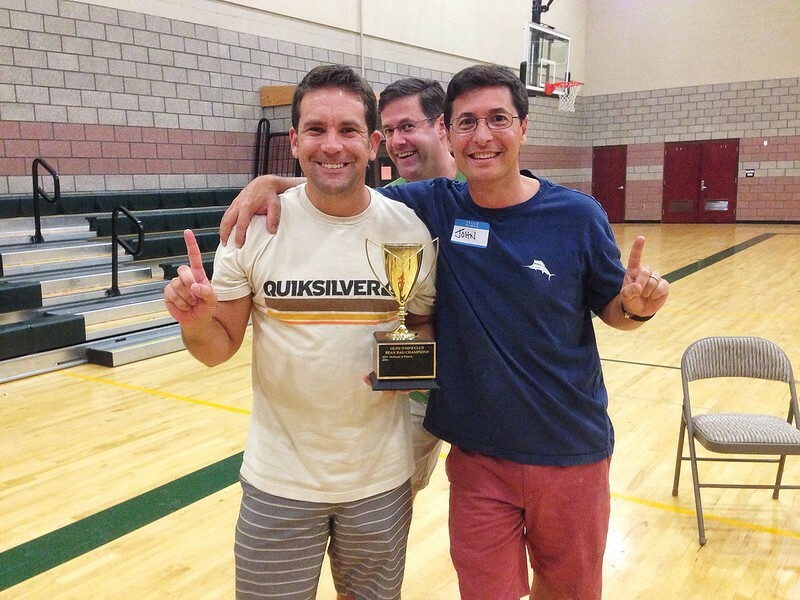 The OLPH Dads’ Club kicks Off the 2014-2015 school year with our bags tourney! Our first event will be on Thursday, September 18th at 6 pm. Come out and meet the other OLPH dads, find out about the Dads’ Club and be part of the 2nd Annual OLPH Bean Bag Tournament. And in a bit of a change from past years…. There will be NO DUES in 2014!!! If you’re a dad at OLPH past or present you ARE a member of the Dad’s Club! In lieu of dues, events will be held on a pay per outing basis. The bags tourney will have a $10 entry fee. 2014 OLPH Dads Poker Tournament! We sent you an Evite but just in case you missed it, save the date of Thursday 5/8/14! The night all OLPH dads look forward to every year is here. Our annual OLPH Dads Club Texas Hold’em Poker Tournament! Stacks and towers of checks you can’t even see over. Doors (and drinks) open at 6 pm and the tournament starts at 7 pm sharp! Proceeds go to the Dads’ Club fund which supports OLPH in many, many ways (basically we do whatever they ask and give them money each year). Better yet, please head over to the Evite and RSVP there! Come even if you’re not into driving. There is a lot more to do there than just drive! Rock climbing, billiards, arcade games and of course the Trackside Bar and Grill! DON’T YOU DARE MISS IT, MISS IT, MISS iT! The Cardinals lost but it was a great night for the OLPH Dads Club. We were very excited to be able to hold the 2nd annual OLPH Dads Club Tailgater on school campus! We projected the Cardinals vs. Seahawks game on the huge wall in the open space where the volleyball court sits. We encountered a few technical issues but our crack team got through them & the picture and sound were great. While the Cardinals didn’t hold up their end of the bargain, we still had a great time. Lots of great dads and great food and drink! 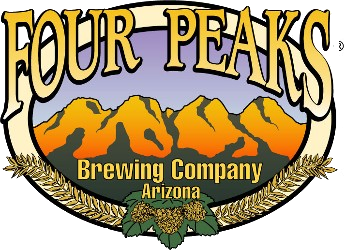 Jim Roper and Four Peaks Brewery were kind enough to provide both Sunbru and Kilt Lifter on tap for the event! Jim also provided some of us with some great information on beer and brewing, including the etymology of the Sunbru name and it’s origin (dating back to the 1930’s resulting from a newspaper naming contest for a local AZ brewed beer). We also had a bounty of great eats from home made chili to dogs on grill, brats, spam musubi and way too tasty cookies, chips and dip. Father Greg came out and hung with us for the balance of the night too! We look forward to the Dads Cub 2014 Tailgater which will be even bigger and better – and hopefully so will the Cardinals. Don’t watch the game at home alone! Big screen broadcast of the Cardinals vs Seahawks division rivalry game and Game 5 of the ALCS playoffs! Congratulations to John Pierson and Markham McHenry for winning the 1st Annual OLPH ‘Bags’ Tournament in a gritty come from behind Cinderella story victory! Down 20–3 in the semifinals they clawed their way out of an insurmountable hole to make it into the championship round where they would face the undefeated duo of Paul Andrews and newcomer Jim Roper. Paul and Jim cruised through the winners bracket and were the odds on favorite to clinch the victory. Needing to win two games in this double elimination tourney John and Markham pulled of the impossible and now will be the first to have their names etched on the Champions Cup for all eternity. We also wanted to thank everybody for coming out! We had about 25 dads come out and it was a great time. Great to see new dads out! Think we had 5 new dads at the meetup last night. Gave a bit of an overview of the OLPH Dads Club. As far as what it is, it is #1 a social organization. With some of us not being as involved as the ladies, this gives us a way to come together and be involved in the school. In the past we have done some larger and smaller projects for the school. An example of a larger project was getting money allocated to put in the gym floor. And then as far as smaller projects, we are called by the school from time to time to help with events or tasks. We would also love to see you help drive participation in the Dads Club. We have a lot of dads in the school. We need more of them in the dads club. As you meet dads, encourage them to join. This is one way we can help fulfill the stewardship responsibilities Father Greg talks about and it’s fun! This year, we are actually looking to use our dues to fund our Dads Club events. In the past, they have gone to the school. We are looking to build the participation this year and one way we will look to encourage involvement is by having fun events this year. And as far as our philanthropic responsibilities, we would like to do a couple more fundraisers this year. We will do the OLPH Dads Club Poker Tournament again as our main fundraiser. We will look to take on 1 small project a year where we will purchase something for the school from our small fundraisers. We will talk to Fr. Greg/Mrs. Lauro to see what need might be a good fit. And we would like to at least start 1 long term project. A possibility might be redoing the athletic fields. If we could start raising funds or find some benefactors, we could work on resurfacing the fields. Based on some of the research, expectations range from $32 to 100K. We wouldn’t look to do rye or anything as it’s too costly. We’ve also explored having the Diamondbacks and Cardinals sponsor our field but we don’t fit their typical profile. They mostly fund public schools and look to fund dedicated fields. 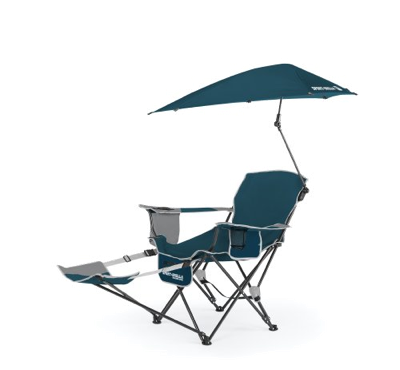 Ours is of course multi-purpose. We formed an executive board this year. Ken Kazmierczak is the President, John Pierson Vice President, Paul Andrews Chief Philanthropic Officer, Chris Lee CTO and Marc Roberts CFO. Start thinking about what role you want to fill next year! We will be having a tailgater on 10/17 for the Arizona Cardinals vs Seattle Seahawks game. It’ll start around 6 pm and be on school grounds. We will look to project the game on a wall outside, have a bunch of chairs, tables and couches. We are currently still working on food for the tailgater. If anybody has a connection to a caterer or a restaurant, we’d love to get someone to donate or provide at cost. If you have any connections there, let us know! The main way we are communicating is our email newsletter. This year, we look to be more regular with the notifications. We’ll look to send out about 3 emails prior to each event. If you’re not getting the emails, you can sign up on the website (http://olphdads.com). As far as the website, we’re using it to display updates for dads that cannot make different events. We have also looked at a directory and have some functionality for that implemented. If you are interested, you can go there & submit your information. We are currently displaying name, company, email. We are open to expanding this though if people are interested. We can do a variety of things from display additional information, lock it down to make it private, etc. We are looking at a way to facilitate more ad hoc events and communication. There is a LinkedIn Group – OLPH Dads Club Group with about 10 dads now. And people have also mentioned a Facebook group. Based on the blank looks from last night, don’t think anybody is really using Facebook. If anybody has any ideas, we’d love to hear them. For now, it looks like email is best for our group so get hold of us if you’d like to spread the word about an event or initiative that you’d like to involve OLPH Dads.